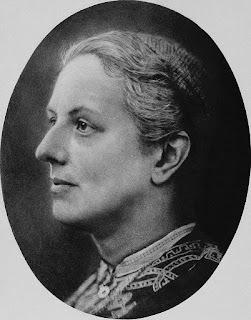 Her most famous book is The Heir of Redclyffe (1853), one of the bestselling books of the Victorian era, and generally considered to be one of Charlotte Yonge's best. In short, it's a story about a series of misunderstandings between two cousins which lead to tragic consequences. It's also a good example of a Victorian domestic story and the characters and interactions between Philip, Guy, and their other cousins, the Edmonstones, are the main point of the story really. 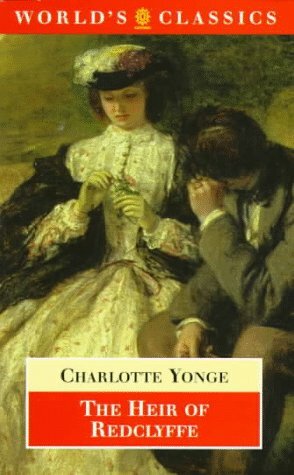 Characterisation is probably Charlotte Yonge's strong point, particularly in this book, and I really like some of the secondary characters, Charles and Charlotte Edmonstone in particular. (It's also mentioned as being read by both Jo March in Little Women and Rebecca Randall in Rebecca of Sunnybrook Farm.) The sequel, The Trial, is also pretty good. Another book is The Daisy Chain, which is about a family of 11 children, whose lives are changed near the start of the book by a carriage accident involving several members of the family. The story basically chronicles the lives of the children (focusing mostly on the middle few) as they grow up: there are school and home troubles, ambitions, romance, marriage, births, deaths. The central character is Ethel, who is at first awkward and bookish, and whose dream is to build a school and a church for Cocksmoor, a poor area near where they live; this is the central climax of the novel. This book was supposed to be a part of the inspiration for Little Women, and, although I prefer LW to this, it's still worth a read. It's also a good starting point for the "linked novels", and some characters from it return in other books. The Pillars of the House is in a similar vein to The Daisy Chain, although in this case there are thirteen children, who are orphaned fairly early on in the story, leaving the responsibility of looking after the family largely on the shoulders of the eldest two children, the "pillars of the house" of the title, Felix and Wilmet (who at the start of the story are aged 16 and 15). Again this chronicles the ups and downs of life for the family, with some children getting more attention than others. At around 1100 pages it's very long, and does drag a bit at times, but this does allow for a lot of development of the characters, and the book covers a long period of time (about 18 years). It isn't as good as The Daisy Chain, but the characters are mostly well-drawn and likeable and the younger ones are probably more fleshed out than some of the May family are. I've not read any of her historical novels, except for The Little Duke which I didn't particularly care for (although it's among her most popular books, so don't let that put you off), but I intend to (The Chaplet of Pearls, which is set in 16th century France, is on my Classics Club list). I do find I usually have to be in the mood to read one of her books though, so I'm not sure how soon I'll be picking it up.